HI Laranjeiras v Salvador, Brazílie: Zarezervujte nyní! 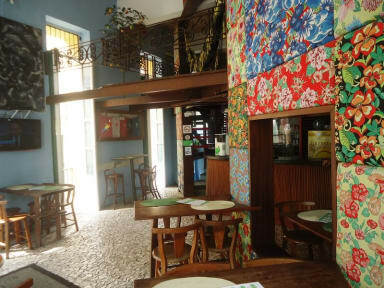 Since 1994 the Laranjeiras Hostel offers dorms and private rooms in a XVIII baroque portuguese colonial house. Laranjeiras combines colonial style with modern facilities for backpackers travelling around Brazil. Friendly atmosphere to meet people from all over the world. Come join us for a unique experience on accommodation. We are located in the heart of the Historic Center of Salvador. 24h service and a staff that will do anything to make your stay delightful. Free Wifi, own restaurant and many facilities a few steps from the hostel.